Print out these instructions so you don't have to toggle back and forth between pages. Click on "events" above and then "add event" in the left-hand menu; if you have already added the event, click on "edit event", find your event in the drop-down list and enter your password. Add the information about the events; on the date page, add each date that uses the same ticket prices; on the ticket page, add each different ticket type you want to sell. Near the bottom of the ticket page, select "I want CMajor.Net to sell tickets". Finish entering your event; there is a summary page that shows you what your event listing looks like. Click "Submit". On the next page, specify how you want tickets to be sold; you can have CMajor.Net sell tickets for you and send all the orders to you, or have CMajor.Net mail the tickets to the customers. On the next page, you can specify how your tickets will look; the more safety features on the tickets the more expensive they are. Read the "only click this once" paragraph and click "Order Tickets". You will be shown a "thank you" page that has a link to your box office; copy this link and paste it onto your own web site to send people to the box office to buy tickets. You can check on your ticket sales by clicking on "check receipts" in the events menu, selecting your event and entering your password. 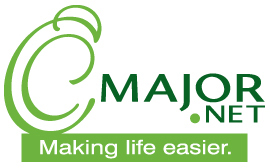 If you elected to have CMajor.Net send you all the orders, you will receive an e-mail each time a sale is made. If CMajor.Net is mailing the tickets, you will not receive any indication of individual sales until one week before the performance, in which case you will start receiving the e-mails as "WILL CALL" orders to prepare. Once the event is ended, you will receive a check to the address you entered or a PayPal transfer in the amount of the box office receipts, less any money owed for ticket printing. If you did not collect enough in box office receipts to offset the cost of printing the tickets, you will receive an invoice for the balance remaining, which must be paid upon receipt.